We SOLD OVER 250 Properties since 2012 !!! Local Knowledge & Opinion Matters. As we have been on Topsail Island for over 50 years we offer local knowledge on pricing & strategies to help make the most of your investment. Pre-list Comparative Market Analysis to help indicate best price. Verbal Feedback reports to you to discuss showing results. At time of offer, updated Comparative Market Analysis to give you the knowledge to make an INFORMED decision. Recomendations & Advice While Neogotiating. Ensuring the Buyer is able to complete the transaction financially. We ensure the closing process goes smoothly to a successful close. A history in the Topsail Island real estate market that spans over fifty years of company history. Over 226 years of real estate team experience . . . more than any other company in the area. Year after Year Consisent Performance of a leading area real estate company. Our history proves we will be here today and tomorrow to assist you. Internet Advertising on over 100 world wide real estate websites for example, realtor.com, trulia.com, zillow.com, propbot.com, oodle.com, homefinder.com, etc. opening your property to ALL the buyers. Watch Our Video That Explains Our Internet Marketing In Fun Way! 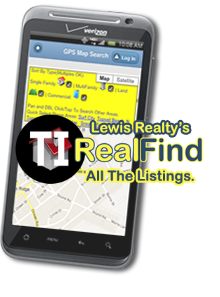 Top Rated, Search Engined Ranked & High Traffic company website, topsailarea.com & lewis-realty.net highlighting your property. Wide Angle Enhanced Professional Photography - Not just a 35 mm shot like those "other companies"
360 degree Virtual Tours allowing buyers to tour your property from the comforts of THEIR home. Large Social Internet Presence On Facebook, Google +, & Twitter allowing even more exposure to your property. Just A Few Testimonials . . . This is a letter of appreciation and recognition for Mrs. Dee Stone. 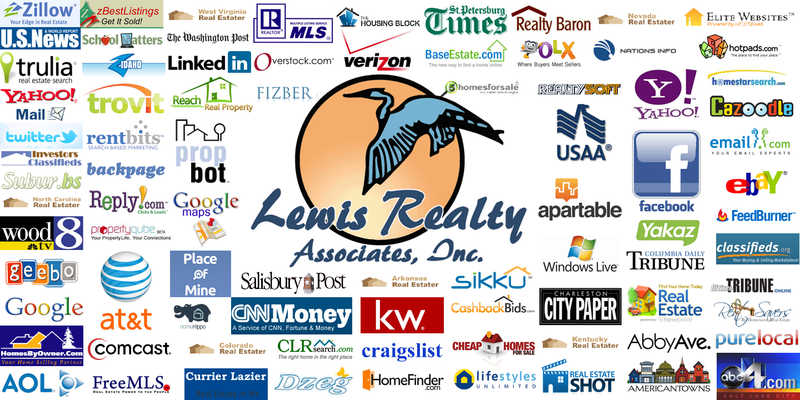 Dee is a member of your firm (Lewis Realty Assoc. Inc.) and was our agent for the purchase of (address non-disclosed). We cannot tell you how pleased we were with our agent Dee. Dee represents your firm in a superior manner. She was extremely quick to turn around our requests for information or action. I have been conducting real estate business with Bob and Martha for the past two years. I want to take this opportunity to recognize their efforts in assisting me in the marketing of my property. Both have made me the client their top priority. From the first day I met them, I knew they were the right realtors for me. I am more than happy with the hard work they have done and will continue to do for me. Bob and Martha are professional realtors in every sense of the word. I know they will always go the extra mile in taking care of all the details necessary to market and sell my property. However, after working so closely with them, they now seem like part of my family. They are interested in my desires and needs as much as they are in selling for their own monetary gain.